Bustle made a list of “2014’s Best YA Books”. You know me: lists are my favourite! (Remember my version Epic Reads’ 30 World Changing YA books?) Well, my friend NevilleGirl showed me Bustle’s list and naturally it sparked a million opinions in my cantankerous skull. Did I like Bustle’s picks? Not, really. Which, of course, made me want to make my own list. Naturally. 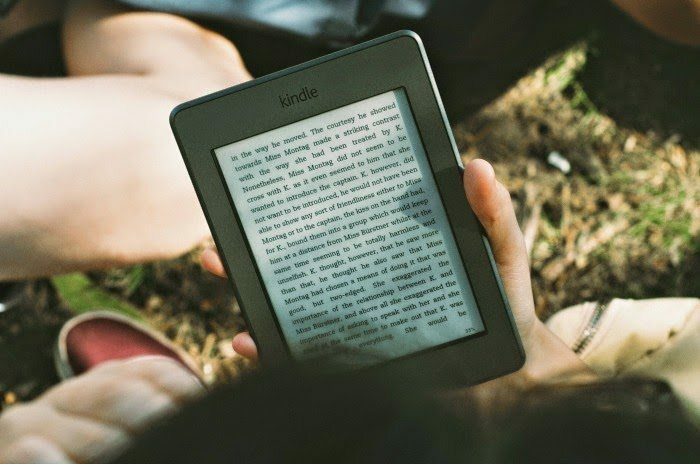 On Bustle’s post they listed: We Were Liars, Grasshopper Jungle, Panic, No One Else Can Have You, This one Summer, The Impossible Knife of Memory, Cress, She Is Not Invisible, Since You’ve Been Gone, The Truth About Alice, and Graduation Day. I’ve read 4. A lot of them I’d call “good” but “best of the year”? Only Cress and We Were Liars would hit that list for me. I also notice that they’ve picked a lot of contemporaries. Why?! Epic and fantastical books can hit you in the feels too! You want to know the truth about my list, though? Most of these books I’ve only rated 4-stars! I know. Shocking. But apparently I haven’t read many mind-blowing books that were published in 2014. I’ve read 118 books this year, but most of the ones I want to gallop across the world proclaiming their greatness were published last year or beyond. Odd. [4-stars] Not my first pick for a “best of the half-year” list, but when it came down to picking books…The Minnow did hit me with magnanimous feels. Especially with the ending. There are theories about that ending, and I like the dramatic, feels-crushing version. [5-stars] THIS BOOK SMOTE ME. And I needed to go all Old Testament there with the “smote” because there’s no better word for this. I shipped Sam and Celeana so hard even though I knew the ending from Throne of Glass. [4-stars] Again, not my first pick! But I realised (while scrolling through Goodreads) that this one does rate high on books that have most affected me this year. I was a teeny bit frustrated with most of the characters…but the simplicity won me over. See? I’m still rating this high even though I loathe fish. [5-stars] MOTH. There are other things to say, of course…like how Wonderland is even more wild and wacky and out of control. And can we mention the ending? THE ENDING, peoples, is enough to give a person a small heart-attack about the state our beloved author left her characters in. They’re all mad in this book. [4-stars] This series grew on me the more I read. And while it lacked in the action, it more than made up with a) humour and b) character development and c) Warner. [4-stars] One of the few happy books I’ve read! I mean, mildly happy. Let’s not underestimate cranky families who hate your painting passions. [5-stars] This one so deserves to be on this list. I’m…I’m still in shock. I never saw that ending coming. I never saw ANY of it coming. It took my breath away, honestly, it did. [5-stars] Every time Marissa Meyer writes a book, she outdoes herself. I didn’t think anything could top Scarlet but then Cress happened. Thorne develops a backbone (that that is a little sad…he was funnier when he was slimy) and Cinder and Kai actually make eye-contact, OH, and it has an awful cliffhanger ending that makes me cry and long for Winter. Love that. [4-stars] This book keeps growing on me. If I redid ratings (which I don’t), I’d probably give it a 5 now. It’s stuck with me. I have so many questions, and yet it was just all sorts of beautiful. And funny. You know, when they were dying or anything. [5-stars] If I could only pick one book, I might just pick this one. I love it! I adore it! I’m so excited for it I wish there was a ginormous fandom so I could party with them! I could not put it down…and I’ve never felt so much for a character like I felt for Nathan. Poor little mite. Talk about needing a hug. I absolutely want to hear your versions of this list. Cait likes to read older books. It’s very exciting to read and review all the shiny newbie books, but she doesn’t want to miss out on the old diamonds of yesteryear. Like A MONSTER CALLS or FANGIRL. Those are masterpieces! But…not published in 2014. Late at night, when not plotting villainy, Cait likes to reflect on what 2015 might hold. More Sarah J. Maas and John Green she hopes. Aristotle and Dante wasn't published this year though. 😉 I had that problem too! I had it on my list and while it came out in Australia this year, it's technically like a 2012 book! So I took it off. >-< Same with Fangirl…gah. I had a bit of trouble, I tell you! And omg, Heir of Fire I'm so excited for. Not reading it until it's closer to release date though. I loved The Minnow. YAY I CAN'T WAIT TO READ YOURS. And I can't claim. hehe. I stole it off the internet. Ohhh, tell me what you think of the end of We Were Liars?! I was afraid it was too overhyped because I wasn't really into it until about 45%. And then I seriously could not put that book down. It was stuck to me, I promise, it was glued to my eyeballs. *whispers* Ohhh CoM is brilliant. But I'm not sure you'd like it better than ToG? I'm NOT SURE. But it was so so so good. I know what you mean about Half Bad…amazing book.I haven't read Ignite Me, yet, but I liked Shatter Me a lot more than Unravel Me.And I really want to read We Were Liars. I have no idea what it's about, and I don't want to know, but I really, really want to read it.As for my list: Secret (Brigid Kemmerer), Panic (Lauren Oliver), Perfect Lies (Kiersten White), Split Second (Kasie West), The Forever Song (Kiera Cass), The Dark World (Cara Lynn Shultz) and Four: A Divergent Collection (Veronica Roth). So, basically, if it came out this year, and I've read it, then it makes the list.And I'm sure once Silver Shadows and Sinner come out, they'll be added to the list too. The synopsis for More Than This is useless, isn't it? 😉 I confess, that's half of what intrigued me sooo much! (And of course the John Green recommendation on the front.) Ohh, We Were Liars sucked in e-reader? Such a shame. I hope you get a physical book because the end. OH THE END. Not okay. I contemplated writing a thesis length comment, and then I decided to just write my own post instead. I'll put it up first thing in the morning!! Sadly, I've only read one book on this list which was Ignite Me, I plan to read Half Bad, A Mad Wicked Folly and We Were Liars sometime in the near future. I really need to get caught up on the Lunar Chronicles books, I read Cinder a million years ago and remember loving it but I don't remember anything about the actual plot so I'll definitely have to do a reread before moving on. 118 books? *bows down*The Assassin's Blade! I wasn't a huge fan if Throne of Glass, so I'm hoping these novellas will change my mind about Calaena and the rest of the story. Faye has been pushing me to read Searching for Sky! And I will when I can. I still haven't finished Unhinged. D: Splintered was really, really good though. Ignite Me… Err, I don't like Waner, so… ;P A Mad, Wicked Folly was so cute! We Were Liars is one of those love/hate books, and I think we're on the opposite ends, Cait. 🙁 CRESS. CAPTAIN THORNE. I'm really curious about More Than This. Half Bad, as well!Sorry if this comment's co cluttered. I wrote a longer one, but Blogger keeps eating all my comments! THAT'S EXACTLY MY FEELINGS FOR THE ASSASSIN'S BLADE AJFDKSLAFS SAM. And no! I haven't read the Daughter of Smoke and Bone series and that is why. I haven't even touched it. really, what have I been doing with my life?? LOAFING I GUESS. Not many people do like Half Bad, but I'm obsessed with it. It was so sad yet perfect.MORPHEUS. I've only read thirty-six books thus far this year, and most of them are at least from last year, but almost every one that I've read from this year has blown me away – and most of them are indie published.RESISTANCE by Jaye L. Knight. I'd read other books of hers from her previous pen name, and adored them – and this one blew me away. I got to read it pre-release, too, which is always amazing.CINDERELLA THEOREM by Kristee Ravan. The fact that this was a combination of math and fairy tales was enough to sell me. But the world building was delicious.FLY AWAY HOME by Rachel Heffington. Not an era of history that I usually find myself reading, but I thoroughly enjoyed this book.THE WORD CHANGERS by Ashlee Willis. I'd been following the hype for this book, and knew I'd love it (the premise reminded me of the premise of my own ANKULEN). Which I did.UNFAIREST OF ALL by Shannon Hale. This is the only "popular" book I've read from this year. I'd loved the first book in the series, and I wasn't disappointed in this one at all.I haven't read any of the books on your list, though I need to read Cress (after I read Scarlet … still need to lay my hands on that). RESISTANCE and WORD CHANGERS each had epic world building as well – that's one of my requirements for fantasy.I would recommend her EVER AFTER HIGH series to start with. She has two writing styles – light and funny or on the heavy side. I haven't been able to get into her Goose Girl series (despite it being based on one of my favorite fairy tales) or her Princess Academy (Despite the fact that I own the first book) but I devour Ever After High. Not sure who or what Bustle is, but I don't agree with many of their choices. Not that their choices are bad, but just that I think there are better books to highlight. If I were making a Best of 2014 list, I'd say: We Were Liars, Winner's Curse, Complicit, More Than This, and maybe Kiss of Deception. I hadn't heard of bustle until my friend showed me the article either. But I have to admit…they haven't read a lot of YA this year, now, have they? 😉 I want to read Complicit…aghhhhh I NEED TO READ IT. And Kiss of Deception. More Than This was terrific, wasn't it?!! WHAT. WHAT HAVE YOU BEEN DOING??? Editing is hard. Editing is really hard. I'd offer you, like, editing-consolation chocolate, but I ate it all. I read a lot of old books too. Most of the time, I kind of shy away fro new releases, especially if it's part of a series. I like it when the whole series comes out, so I don't have to wait a year in between to read each book. That's so painful! I love Cress and The Lunar Chronicles series so far. I'm kind of surprised that you thought Cress topped Scarlet, though. Scarlet, in my opinion, is the best of the three because he tension just kept escalating and escalating, and I absolutely could not put it down. I can't wait to read Winter! Unfortunately, the release date for Winter got pushed back to November 2015, which I am furious about. This is torture! I know that Fairest is now coming out when Winter was supposed to come out, but that book probably is not going to tell me what happens next in the series. Knowing the success of your blog, though, you'll probably get and arc of Winter. I'm so excited to see your review, because I know you'll review it. Right? Right?I think I've said this a million times before, but I really want to read We Were Liars and Searching for Sky. They both sound like amazing books. I also want to read Bird, which I just got from the library yesterday. No, actually I think Scarlet was the best too! These are just my picks of my reads published this year not read this year. 😉 Ohhh, I didn't know the release date got pushed back for Winter. DARN IT I WAS LOOKING FORWARD TO FEBRUARY. *wails* I will definitely review it…hehe. I might not get an arc, though! I did for Cress, but we'll see. 😉 WE WERE LIARS MUST BE READ. Bird was terrific too! I wanted to put it on the list but then I wondered if it was technically MG not YA? CRUEL BEAUTY. Oh gosh, it was heartrending and beautiful. And have you read it? Cause you SO should 😉 Sad to say, I haven't read too many books published this year yet…I'll have to fix that. I LOVED CRUEL BEAUTY. It came out in 2013, though. 🙁 So no go for thi slist. Ha! I haven't read any of them! I don't even know which books I've read that were published in 2014. Oh wait. ARCs. Chances, are, I'm bound to find one… let's see… Shinobi by Cole Gibsen, Knight Assassin by Rima Jean… Salt by Danielle Ellison… yep. That's about all I can think of. I've read a lot of books published this year. 😉 Although my favourites come out later in the year and I was trying soooo hard to only include books from the first half of this year (so like Jan to July). Oh well TRAITOR'S BLADE ….is the only that comes immediately to mind as a must read I loved so diehard this year so far. I'd have to do some digging to come up with some others. Last year was definitely a great year. Wait I think I gave Cress five stars …. I've read five from that list, but I completely agree…the book doesn't have to be contemporary to hit you full on in the feels. I mean, just look at The Assassin's Blade. I have never felt (or loved) Celaena Sardothien more. Well, except now that I'm reading Heir of Fire. Talk about feels. I'm hard-pressed to come up with a list on the fly like this, but there would be some major fantasy and sci-fi on there, I'm sure. I have never felt (and loved) Sam more. hehe. OKAY I'M KIDDING. Celaena is still my favourite, but my feels were mauled by Sam, I swear, I didn't think I could ship anyone as much as Chaol…but then: Sam. YOU NEED TO READ PATRICK NESS. I PROMISE YOU WON'T REGRET IT. Eeeep! I hope you like Unhinged. It is beautiful. I like to look at the beautifulness of its cover. And I want to try The Girl with All the Gifts, mostly because I keep spelling it gifs and I won't lie. That would be my life's biography: The Girl With All the GIFs. Ignite Me was positively swoonworthy. But nooooo I'm pretty extra sure Cruel Beauty came out last year. 🙁 Or else I would've stuck it on my list! But same…I keep thinking of all these books from other years that were epic. YES. Cress WAS AWESOME. I absolutely adored it. It was SO much better than Scarlet, which surprised me, because I thought Scarlet was soooo much better than Cinder. I mean, there's usually middle-book syndrome, but for once? There was NO such thing. Really? I think Scarlet is my favourite. XD It definitely did not have middle-book-syndrome! HUZZAH. Yup. Hit me. I'm ready. YES to WE WERE LIARS SO SO SO MUCH. I really couldn't get on board with The Winner's Curse. I know! I'm so snarky. Hey but I'm reading Falling into Place right now!!! It's awesome. OMG YES I CAN TOTALLY SEE THE DRIVER BEING IMAGINARY THAT IS THE BEST THEORY I'VE HEARD SO FAR. Oh yeah, I forgot about the date thingy with Aristotle and Dante (I REFUSE TO WRITE THE WHOLE TITLE. IT TAKES TO LONG)! Bummer :/ OMG, CAIT YOUR BRAIN AND HEART WILL JUST BURST IN FRABJOUSNESS WHEN YOU READ HEIR OF FIRE. Actually, the image that comes to mind, when I think of brain and heart bursting are quite disgusting >.< DON'T BURST. I disliked Fangirl too, by the way. ;P And no, I don't hate all books, just SOME ;)I HAWWA YOU ARE FRABJOUSLY FRABJOUS. I think you post these just so I can feel compelled to make more lists, Cait. SERIOUSLY. I must also do this one now 😉 Anyway – I actually haven't read many from your list either. But BIG YES to Ignite Me and The Assassin's Blade – both AMAZING books. Also: Warner is the only reason I need to read any book. Yes, yes, I do. But what post is better than a post with a list? I swear, I make at least 5 lists a week. *sigh* One day, you peoples are going to throw things at me and tell me NOT to write a list. But it is not that day. You're inspiring, that's for sure. 😉 I was surprised at how darn difficult it was to write this!! And OMG The Coldest Girl would've gone on there if it'd come out this year. x) I just…wow, that book really caught me up at the end. IT IS MY ULTIMATE FAVOURITE BOOK TOO AND OMG I HAVE NO IDEA WHY IT IS UNLOVED?! I LOVE IT TO PIECES. AND MORE. TO THE MOON AND BACK AND ALL THAT FUN STUFF. I agree, I love a list too! Okay well. I haven't read even close to all of these. I agree with exactly NONE of the Bustle list. Of those I read on the Bustle list (Panic, We Were Liars, and Graduation Day) none would make my list. I liked Panic and We Were Liars, I suppose. Though, I did see the ending of We Were Liars coming. From like, probably less than halfway through the book, so I think that really bummed me out about it. It was still good. And Graduation Day was a disaster for me. Now, as for your list: YES to Ignite Me. All the yesses. And More Than This is en route to my porch as I type! So I'll be able to let you know about that one, and Searching for Sky (which, incidentally, your review inspired me to immediately purchase) is on my bookshelf for immediate consumption. And now, I am obviously going to have to buy Half Bad too. My bank account is going to start getting mad at you soon 😉 Mine would probably be, in no order: Ignite Me, Ruin and Rising, The Offering by ER Arroyo, Fire & Flood, The Half Life of Molly Pierce, The Vault of Dreamers, Tabula Rasa, Into the Still Blue, The Wounded by Lauren Nicolle Taylor, The Variables by Shelbi Wescott. This was hard. I feel like I have had a rough six months of reading, it took me far too long to come up with my list. LISTS ARE JUST THE BEST. YES YES. Panic was a bit of a dive in my opinion, but I realise a lot of people like it, so I try to keep quite quiet. 😉 Hehe. Ohhh, you saw We Were Liars coming?! WOW YOU ARE SHERLOCK. I didn't. But I'm usually very clueless.I want to know what you think of More Than This, definitely! It was amazing and I didn't expect to like it as much as I did. x) Omg, you bought Searching for Sky?! LET ME KNOW IF YOU LIKE IT. It made me sob. Did I mention that? But hey, your bank account might be mad, but the publishers will love me. HALF BAD IS THE BEST OMG IT IS THE BEST AFJDLSKAFDS I HOPE YOU LIKE IT. I LITERALLY CAN'T EVEN SUM UP HOW MUCH I LIKE IT. *deep breaths* Oh and I also like your list, but haven't read many of them, which I feel vaguely bad about. The ending. is. pain. Like, I totally didn't think I could possibly ship anyone more than Chaol and Celeana BUT SAM. The AUS covers of Ignite Me kill me too. OHhh, they went so badly wrong in the designing there. *whispers* I think Half Bad is the BEST. Though that's hard to tell right? heh. x) I actually originally dnf'd Cinder! I re-borrowed it from the library, though and absolutely fell in love with the series. I've read two of them (on your list, 3 on the other, haha). Cress and We Were Liars which I loved loved loved Cress and my mind was blown with We Were Liars, haha. I do have A Mad Wicked Folly and The Assassin's Blade on my TBR (I love the covers!). There's a few others on that list that I'm eyeing, too! Like Unhinged. Definitely heard amazing thing about the series, I probably should check it out sometimes, haha. Lovely list, Cait! Thanks, Cyn! XD It was surprisingly difficult putting all this list together actually. I just haven't read as many 2014-published mind-blowing books as I would've liked to. 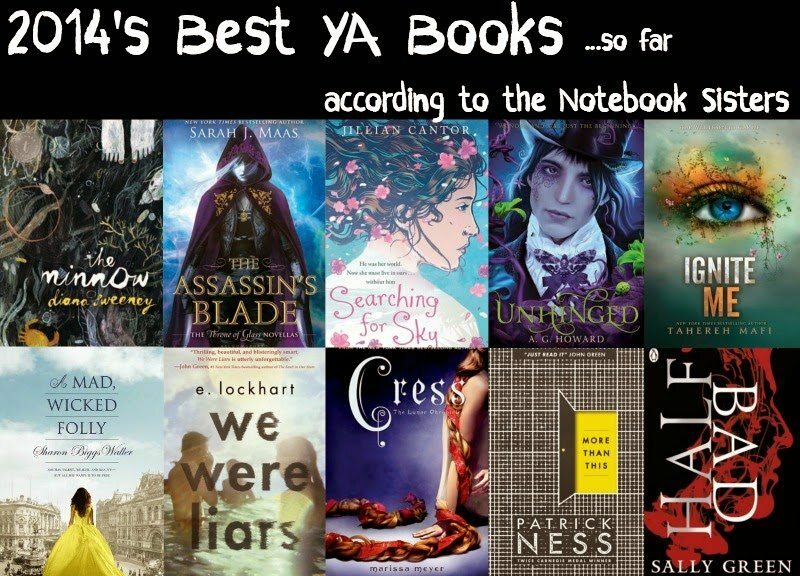 I definitely agree with Cress, We Were Liars and The Assassin's Blade which is one of my favourites of this year! Aristotle and Dante would probably be my favourite that I read this year, but I realise it wasn't published this year. I haven't seen much buzz about A Mad Wicked Folly but I want to read it now after your thoughts on it! Great picks Cait! Amazing List! I'm really enjoying Patrick Ness at the moment, so very glad to see him make your final cut! I made a chocolate-choking sound when I saw Cress was on Bustle's list and I got all happy again when I saw Assassin's Blade on your list. CAN I JUST WALK TO YOUR HOUSE AND BORROW YOUR COPY OF ASSASSIN'S BLADE? Oki thanks. (I do believe I squeak//squeal at least once per blog post of yours XD)BOOKS ARE WORTH CHOKING AND SQUEE-ING OVER. I think for me Assassin's Blade is my favourite book of the year, though definitely from your list because I have not liked/read any of the others. The only other I have read is Searching For Sky which did not go well. Still, reading As Read As Blood (!!!) now and that is so, so good! I saw on goodreads you felt similarly about it. WOWZERS it's good.